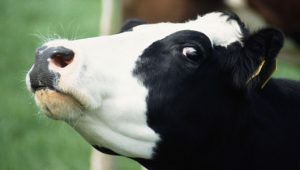 The United Kingdom seems to have become infected with another case of “mad cow” disease, if the events of the past few weeks are any indication. Prime Minister-elect Theresa May’s appointment of Boris Johnson to the post of Foreign Secretary seems designed to maximise offense to Britain’s neighbours, already reeling from the extraordinary Brexit campaign, of which Johnson was himself a prominent supporter. May’s appointment of Johnson should be no surprise however. Three days into the job, she has already been accused of pandering and being inconsistent in her position on foreign investment, amongst other issues. The Boris appointment is either an awkward misjudgement or a clever ploy to undermine the entire Brexit process – which she quietly opposed during her time as a senior cabinet minister. The new Prime Minister also seems in no hurry to start the exit negotiations and who can blame her. The Brexit debacle has plunged the UK into it’s biggest political and economic crisis since World War Two, say some commentators. Furthermore the exit vote was not exactly a landslide. There might yet be more water to flow under the Euro bridge as Britain stares down the barrel of an estimated 5-10 year recession as the full implications of Brexit take hold. In a world of uncertainty, now is not the time for isolationism and petty parochialism. Britain has benefited enormously from its previously close relationship with the Continent, but the stayer camp failed to make this case sufficiently strongly. May was complicit in this, in her efforts to appease all sides and pave the way for her own career development. That in itself is a clear illustration of why the British government is failing its people at present. The vested self-interest of a minority of over-puffed political personalities has overcome common sense. Paul Spence is a commentator, technology entrepreneur, a co-founder of iwantmyname (a New Zealand based global Internet venture) and a mentor with Startup Weekends. You can follow Paul on Twitter @GeniusNet or sign up for a free weekly digest of startup, tech and innovation related events curated by him through New Zealand Startup Digest.